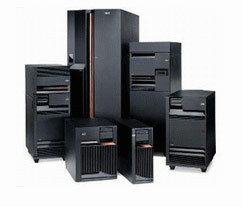 Telephonybuyer.com (A Legacy Electronics Corp web site) can turn excess equipment into CASH and find you equipment for LESS! Let us turn your used and excess equipment into real dollars. We are a world leader in remarketing most of the major manufacturers including: 3com, Aastra, Actelis, Aculab, ADC, Adtran, Afc, Agilent, Alcatel, Argus, Artel, AudioCodes, Avaya, Brocade, Brooktrout, Calix, Cantata, Carrier Access, Ciena, Cisco, CORIANT, Cyan, Datamax, Dell, Dialogic, Dragonwave, Emerson, Ericsson, ESI, Excel, F5, Force10 Networks, Foundry, Fujitsu, Genband, Hewlett-Packard HP, Hitachi, Huawei, IBM, Infinera, Intel, Intermec, Juniper, Keysight, Lorain, Lucent, Marconi, Motorola, NCR, NEC, NMS, Nokia, Nortel, OCCAM, Optelian, Overture, Pairgain, Paradyne, Peco II, Plantronics, Polycom, Powerwave, Proxim, Quintum, Redback, Rohde & Schwarz, SANGOMA, Siemens, SpectraWave, Sun, Symbol, Tekelec, Tektronix, Telco, Telect, Tellabs, Tyco, Westell, Zhone Technologies, Inc, ... and many others.